The photo was taken at Chinatown, Singapore. 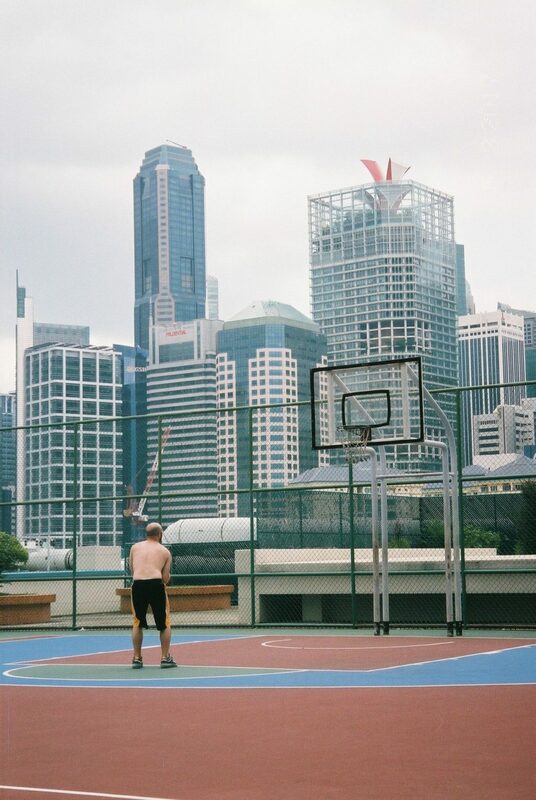 The basketball court in the photo was situated at the top floor of a carpark. The buildings in the photo are Singapore's Central Business District (CBD), a place where offices of top corporations are situated at. Singapore is known as a bustling city that never sleeps, similar to New York. On the other hand, sports, including basketball, are often used by people as to unwind after a long day or as a form of de-stress. This photo provides a stark contrast. Basketball is everywhere, and also everything.